de Bakker, J.W, & Meertens, L.G.L.T. (1975). 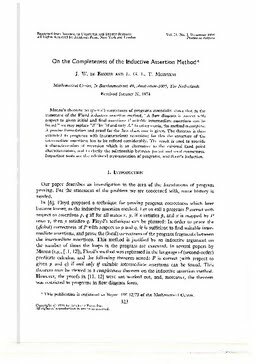 On the completeness of the inductive assertion method. Journal of Computer and System Sciences , 11(3), 323–357.